We have all seen those guys out at our local spot catching all kinds of waves on their retro fish boards. 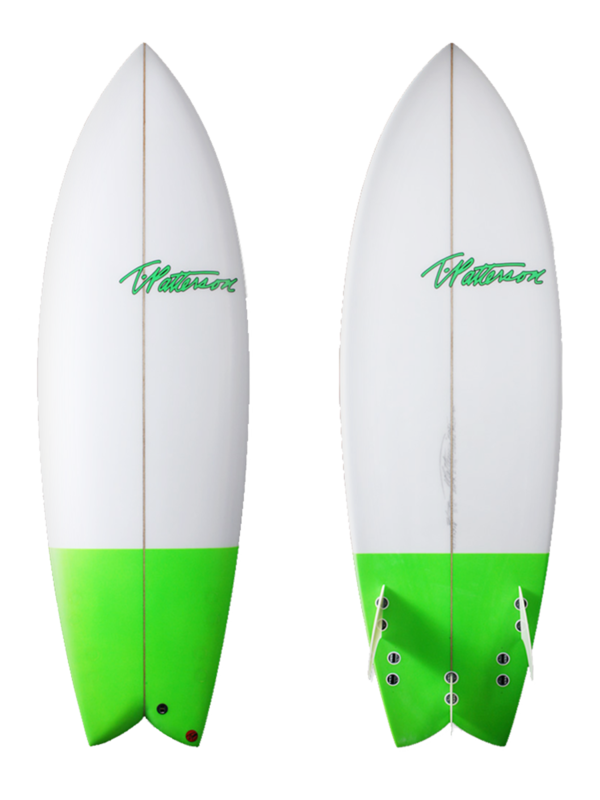 We like the idea of catching waves as well, but we knew we could always make those retro boards go faster and turn harder by applying a much more aggressive performance feel to the fish design. The Devil Fish is the cure to your summer time blues. We took the retro fish and thinned out the rails back on the tail to give you that hard bite and hold for faster and harder rail turns. The bottom has a progressive flat to vee concave for high performance rail to rail surfing at high speeds. The semi-down rail lets the board roll onto the rail without having to fight to keep your lines steady. The Devil Fish is not your prototypical retro, it is one of the most high performance fish designs on the market! The Devil Fish rides best as a twin fin or quad.